Our professional Association’s partners: who are they ? The Bio Supply Management Alliance was born out of the need to create a worldwide community of operations and supply chain management leaders and professionals in the biotech, biopharma, and biomedical device industries. Based in the San Francisco Bay Area, home to more than 600 bio firms, the Alliance provides a forum for collaboration, learning and best practice sharing of practitioners, executives and thought leaders in these uniquely demanding industry sectors. 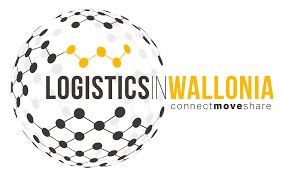 Logistics in Wallonia is the pole of competitiveness dedicated the Transport, Logistic and Mobility in Wallonia sector. At the service of all actors of the sector, LIW aims at giving a lift to innovation, boosting networking and support of the companies, promoting Wallonia with investors and highlighting Walloon companies and their know how. 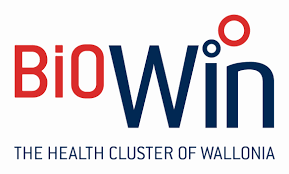 BioWin is the Health competitiveness cluster of Wallonia (Belgium), and its mission is to bring together stakeholders participating in innovative projects and/or education in the fields of Health biotechnology and medical technologies. The research and development supported by the cluster covers all healthcare-related fields. BioWin has defined four strategic areas of development that are key to achieving its aims. 1- Support the emergence of innovative research projects in areas of technology that are applicable to all the therapeutic fields. 2- Implement training programs to ensure the availability of a qualified and skilled workforce to support the development of the healthcare and biotechnology sectors, both in the short term and in years to come. 3- Support the emergence of innovation platforms capable of meeting the collective technological needs of the members. 4- Promote scientific and industrial excellence from Wallonia on the world stage by participating in the main Healthcare biotechnology trade fairs, by creating and consolidating partnerships and/or relationships with foreign competitiveness clusters and Healthcare clusters, and by participating in European networks and projects. Flanders Bio is the networking organization for the life sciences sector in Flanders, a dynamic non-profit, fee-based organization with currently more than 310 members. Biosaxony e.V. and the Biosaxony Management GmbH form Saxony’s biotechnology cluster. Biosaxony e.V. 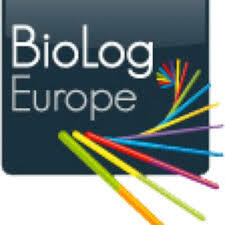 is the association of the biotechnology and life sciences industries in the Free State of Saxony. Its members represent the different life sciences companies, scientific institutions and stakeholders within Saxony. biosaxony Management GmbH is focused particularly on the economic interests of small and medium-sized enterprises. The objective of the association’s work is to develop new ideas and strategies and to expand sustainable technology transfer activities within the life sciences industry in Saxony. Work on the ground is strengthened by the two offices maintained by biosaxony in Dresden and Leipzig. Additional activities are to be developed in other key areas of Saxony. Medicon Valley Alliance (MVA) is a non-profit membership organization in the Danish-Swedish life science cluster Medicon Valley. Our 230 members, who together employ approximately 140.000 people, represents the region’s triple helix and include universities, hospitals, human life science business, regional governments and service providers. We create value for our members by co-hosting, launching and driving meetings, working groups, seminars, conferences and projects, that strengthen the collaboration, networking and knowledge-sharing in the region’s life science community, create critical mass and help realizing the full potential of Medicon Valley. SPRI is the Regional Development Agency of the Basque Country. The Basque Government launched in 2010 a specific strategy called BIOBASQUE 2010 to promote the creation of a new sector based in biosciences and created a specific agency to help develop the life science industry in Basque Country. BioBasque 2010 was launched with a global focus and actions structured into three areas: generation of knowledge, business development and activation of the biocluster with the ultimate objective of diversification and the creation of a new business sector. Gradual development of the strategy has led to the beginning of profound change both in the field of science and technology and in the business sphere. This transformation, still underway, is nevertheless responsible for early international recognition of the Basque Country as a bio-region. In today’s Basque region, more than 75 entities are dedicated to biotechnology research, of which 51 had biotechnology as their main or exclusive activity, assigning more than half of their internal expenses to biotechnology R&D. Of these 75 entities, 66 are biotechnology companies. 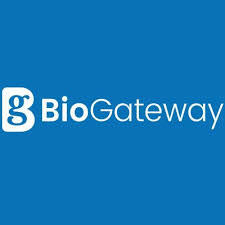 BioGateway is a professional network of Life Science companies, associations and institutes which aims to support the scientific, clinical and academic interests of its constituent members. Its ambition is to build Europe’s most complete life science network and create an environment which will stimulate and enhance evolution and success. bioPmed is the Italian innovation cluster dedicated to health care related product and services created in 2009 thanks to the intervention of Piemonte Region. bioPmed is financed in the framework of ERDF – POR Piemonte 2007-2013 Activity I.1.2 Poli di innovazione. bioPmed is based on a community of around 470 companies, 3 universities and different research centers, foundations and associations active in Life Sciences fields. Since May 2009, 80 organizations have signed an agreement to create, build, support and animate the local cluster. Such organizations are the core organizations of bioPmed cluster. Ealth.org is an organization that represents the interests of companies involved in the healthcare product supply chain in Europe. It acts as a representative body for its members with respect to the European authorities.